I have never been one to celebrate or participate in Halloween Trick or Treat. Recently however I have noticed that a lot of parents do use this event to dress up their kids and show off their creative prowess. I am amazed at the talent, creativity and effort they put on. 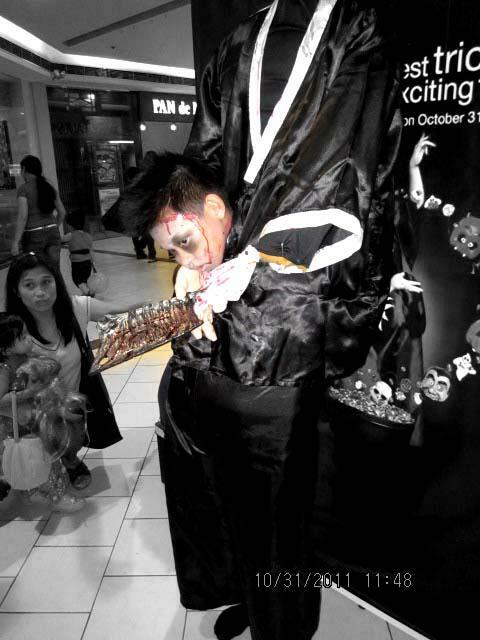 Our company, Souvenirlab, participated in SM’s Halloween Trick or Treat events. In one of our branches, we gave away 4R prints to everyone who came in costume. In another branch, we simply posted their pictures on our Facebook page. The kids look so cute and “scary” in their outfits! This one is a winner for me! Super scary! Check out their pictures by clicking on the photos. It will take you to our Facebook page where you can enjoy the hundreds of photos taken! Proud of my staff for pulling this off! Visit The Souvenirlab at our branches in SM Fairview, SM Bicutan and SM Sta. Mesa.